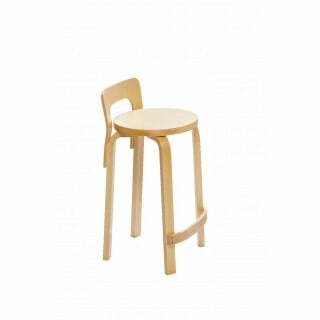 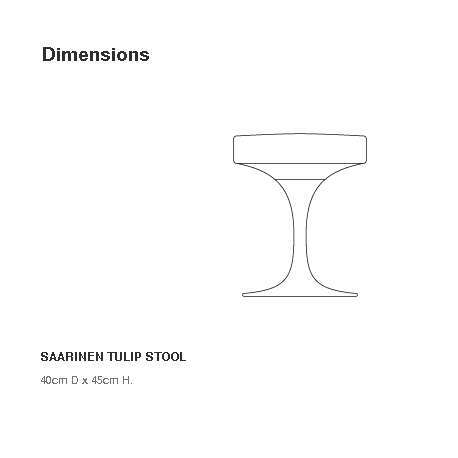 The Finnish-American designer Eero Saarinen designed the Tulip Stool, a stool with a single leg. 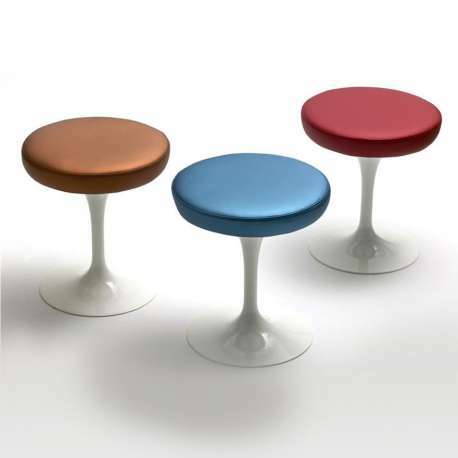 With this beautiful addition to his Tulip collection, he wanted to bring some tranquillity to “the restless world under the table” . 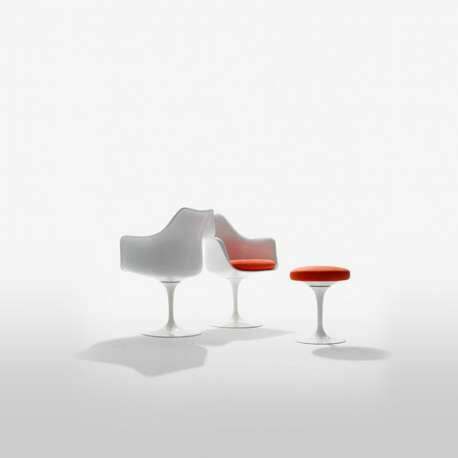 The pure design became so known and loved that it is certainly iconic. 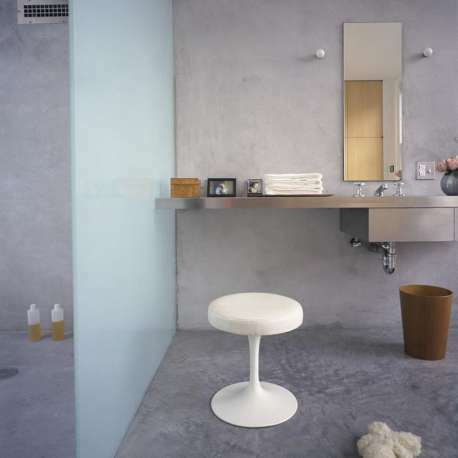 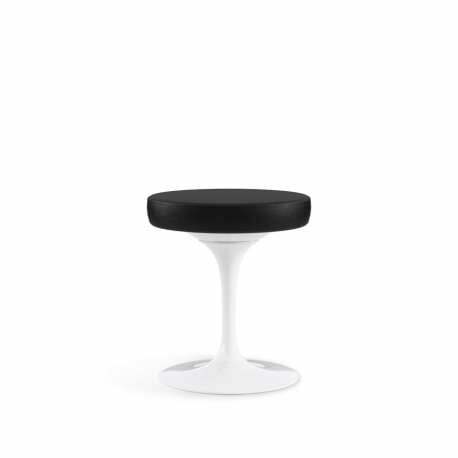 This rotatable model of the Saarinen Tulip Stool is constructed of very durable materials. 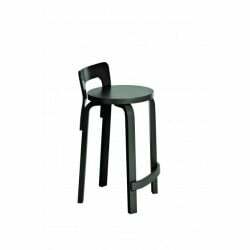 Base: cast aluminium, Rilsan coated finish. 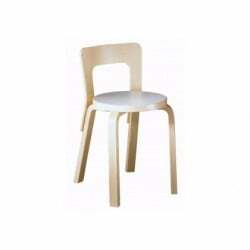 Shell: moulded fibreglass reinforced plastic bonded finish. 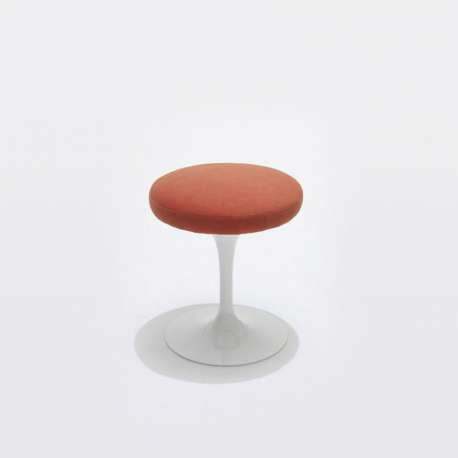 Comfortably upholstered.